UPDATE: One more new clip has been released and can be seen down below. Imagine for a very brief moment that you’re a Warner Bros. executive. You’re sitting in a plush office, watching as the first wave of reviews label Wonder Woman to be the “best DCEU movie” to date. What do you do? Crank the marketing machine up to 11, of course. And that’s exactly what WB has chosen to do. On the heels of EW’s blowout, the studio has pumped out two brand new clips from the film, which you can dive into down below. The first one has Diana facing off against the villainous General Erich Ludendorff – played by Danny Huston – proving that she’s more than a match for him, despite what he may think. The second sneak peek, meanwhile, give us a glimpse of the titular hero training with Robin Wright’s General Antiope. 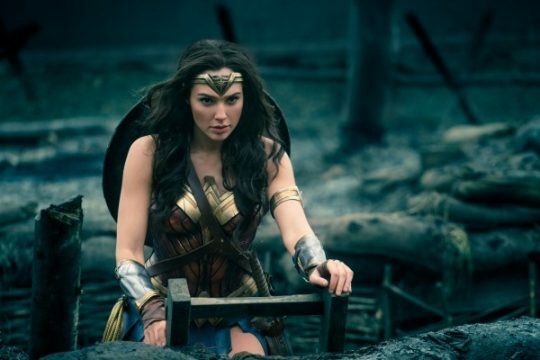 Admittedly, neither are terribly revealing, but they do reenforce the fact that you shouldn’t mess with Wonder Woman – you know, just in case anyone still doubted her strength, determination and willpower. For now, however, take a look at those two new clips below and be sure to let us know what you think in the usual place.